This is the era of technology & even the commercial activities largely depend on the internet. From the marketing of the product to the selling & buying process of the products, every thing has turned out to be high-tech. The WordPress Simple Paypal Shopping Cart is a very easy to use which facilitate the online buying and selling process. What Omkarsoft can do for you? Being one of the prominent WordPress Development services provider, we offer the most efficient & reliable services of developing the shopping cart on the WordPress platform. We provide you the customized solutions for the development of the high quality, flexible & feature-rich shopping cart for your online store as per your requirements. We can customize any e-commerce plugin according to your business needs. We provide Custom WordPress e-commerce plugins and payment gateways. Our team of professionals who has expertise in WordPress framework, provide you the excellent service of the shopping cart development & facilitate the selling & buying of the product on your online store. 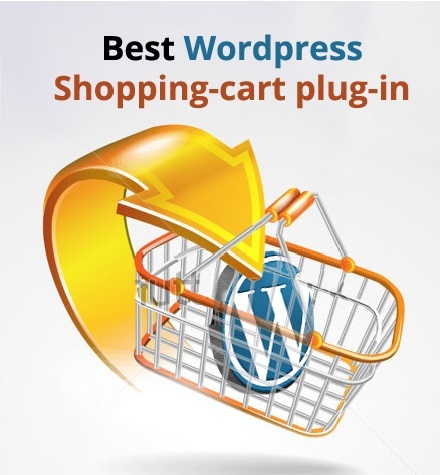 Installing and integrating WordPress shopping cart plug-ins, Integration of shopping cart into existing website design. WordPress has always been versatile enough to be used as an ecommerce solution but now there’s more shopping cart plugins than ever it’s even a viable alternative to the many eCommerce CMS tools such as Shopify or Magento. Adding cart functionality to your WordPress install makes it easy to build simple online stores with the familiarity of the WordPress template system. WooCommerce: WooCommerce is a powerful free WP eCommerce plugin, designed to allow you to transform your WordPress website or blog into an eCommerce store. Jigoshop is a feature packed eCommerce plugin built upon WordPress core functionality. One of the enticing features of Jigoshop is its ability to support various product types, including physical goods, downloadable products and variable sizes (S,M,L etc). WP e-Commerce: WP e-Commerce is a free plugin used by thousands of WP sites, and allows customers to purchase products, services and digital downloads directly from your WordPress website.